When we were first married my husband used to play Scrabble with me all the time. (We even played it to pass the time when we were waiting for our first baby to arrive.) It was a few years into our marriage before he admitted that it really wasn't his favorite game, but he played it with me because he knew I enjoyed it. That's true love, right there! 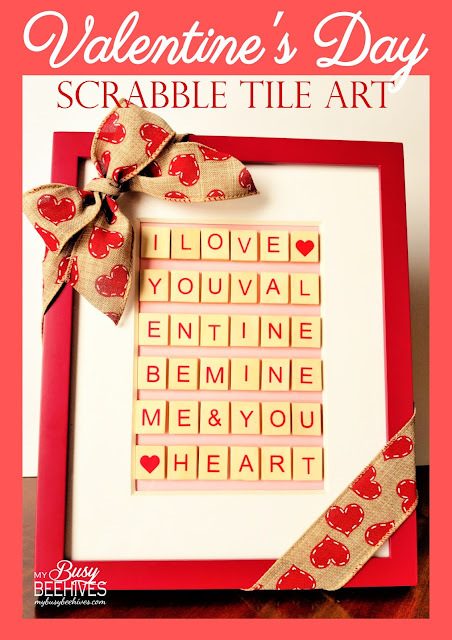 When I came across these Valentime-themed wooden Scrabble stickers, I knew I had to have them. 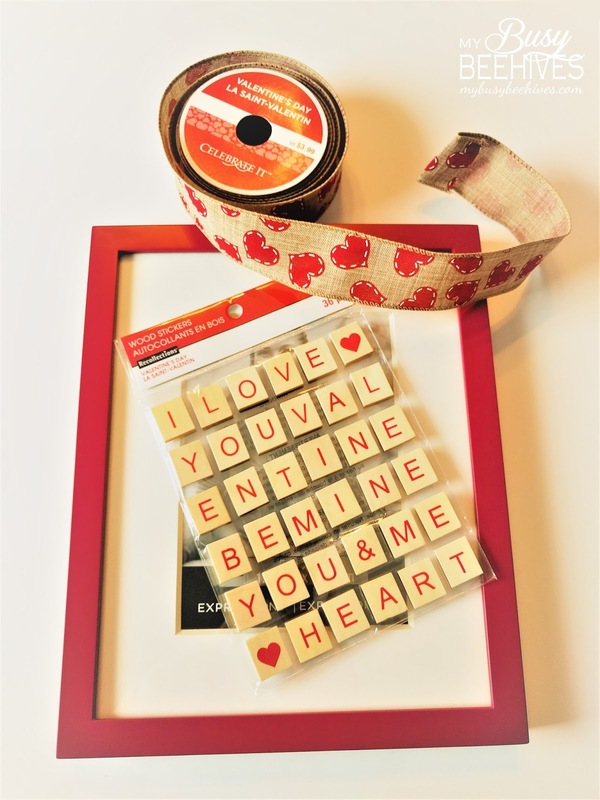 Here's how I made this super easy Valentine's Day Scrabble tile decoration. 2. Figure out the spacing of your stickers. 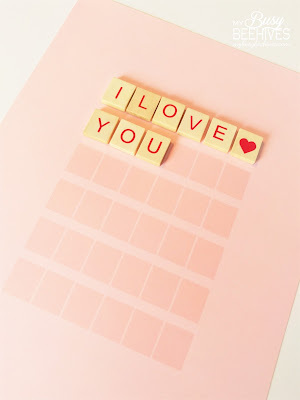 I measured the tiles and the opening on the mat and then printed off a "cheat-sheet" grid on my pink cardstock. You could probably eyeball it, but it never hurts to be a little bit cautious and it only took me a minute or two to set up and print the grid. I also had to trim the paper just a bit so it would fit in the frame. 3. Reassamble the frame, and add ribbon. I've made a few crafts with old scrabble tiles but it's hard to collect enough to write a lot so these stickers are brilliant. I love your tip for getting them spaced nicely. And I love your romantic story - that's real love right there! This is adorable! The grid idea is a great tip. Thanks for sharing at Snickerdoodle. Pinning to my Valentine's Board. I have not seen those stickers. What a neat idea! Ohhhh I saw those at Michaels...may have to go back. Thanks for sharing and featuring when my party opens up tonight! Thanks so much for the feature! I'll be visiting your party tonight! 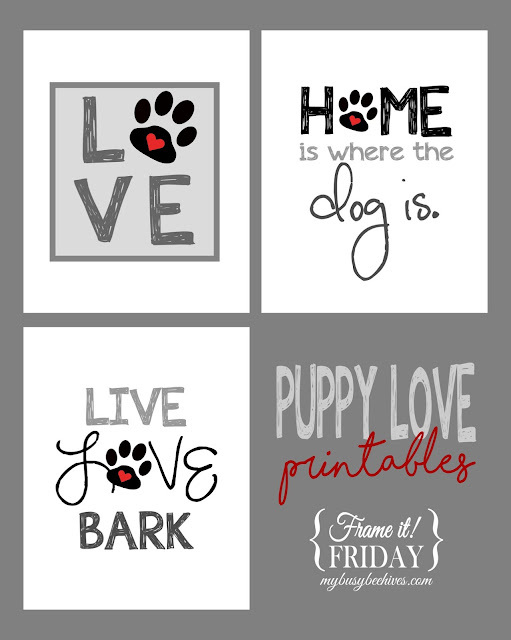 Very cute idea!! I wish I had seen these stickers during my last Michael's haul crawl! The grid is perfect, I'm too OCD to ever go without spacing, lol. Thanks for linking up at my Valentine's Day celebration. 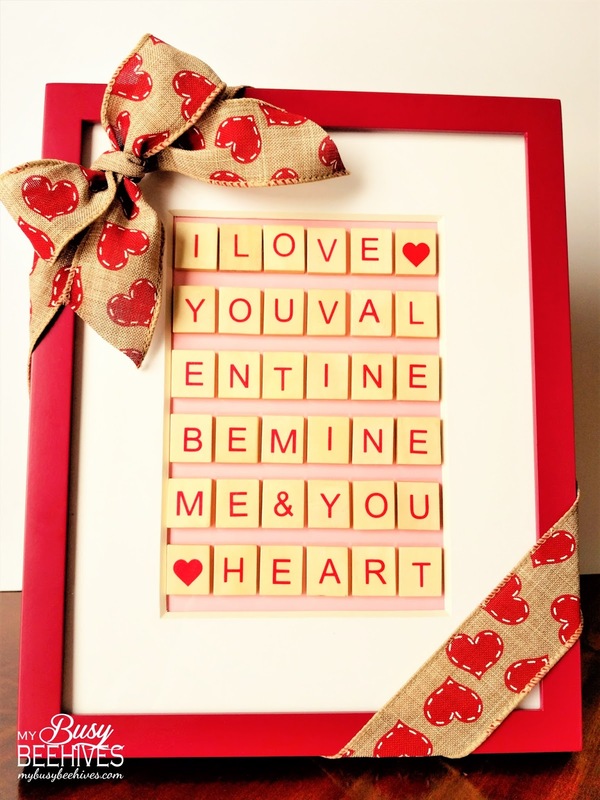 This looks adorable and I hope you had a very Happy Valentine's Day. 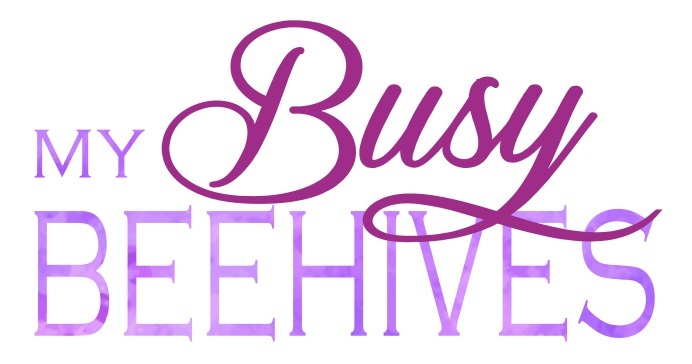 Feel free to stop by again and link up your favorite wreath project this week at my Waste Not Wednesday Week 38 link party.